Grew up with Victoria Libertas Pesaro (Italy) youth teams. Played high-school basketball at St. John Bosco HS, Bellflower, Cal. Played college basketball at USC (2006-09). Signed for the 2010-11 season by Svaolini Pesaro. Signed for the 2012-13 season by Mens Sana Basket Siena. Signed on late December'13 by Olimpia Milano. Moved to Greece for the 2015-16 season, signed by Olympiacos Piraeus. Moved to Germany for the 2017-18 season, signed by Brose Bamebrg. 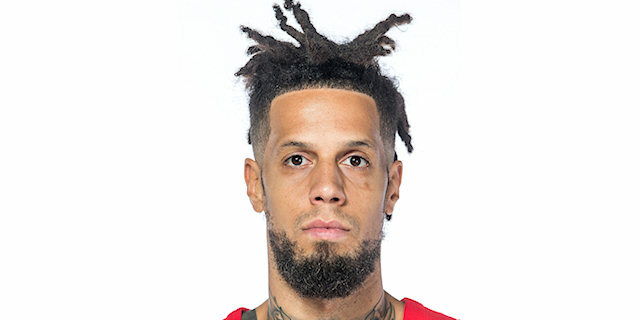 Moved to Russia for the 2018-19 season, signed by CSKA Moscow. Won the 2012-13 Italian National Championship with Mens Sana Basket Siena. Won the 2015-16 Greek National Championship with Olympiacos Piraeus. Won the 2013 Italian National Cup with Mens Sana Basket Siena. Named the 2012-13 Italian League Finals MVP. Named the 2013 Italian Cup Final MVP. Named the 2013 Italian Super Cup MVP. Played the 2011 and 2012 Italian All Star Game. Named the 2012 Italian All Star Game MVP. Named to the 2008-09 All Pac-10 2nd Team. Played at the 2011, 2015 and 2017 European Championships. Has been member of the Italian U-20 National Team. Won the bronze medal at the 2007 European U-20 Championship.